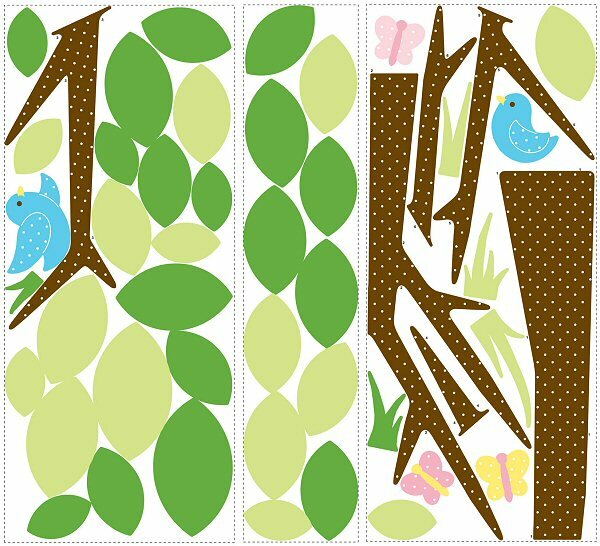 Create a whimsical atmosphere in your child's room with this fabulous Dotted Tree giant wall decal set. 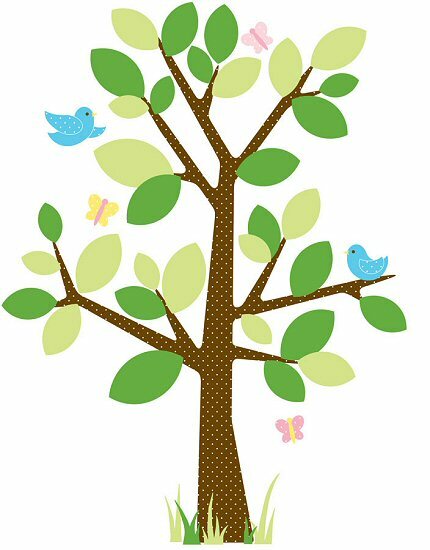 The tree itself is over 5 feet tall when assembled, and with the many leaves and accents, you and your child can add your own creative touches and make this tree mini mural truly unique. Sure to delight kids and parents alike, this RoomMates peel and stick Dotted Tree mini mural is a fun and easy way to transform a room in minutes. 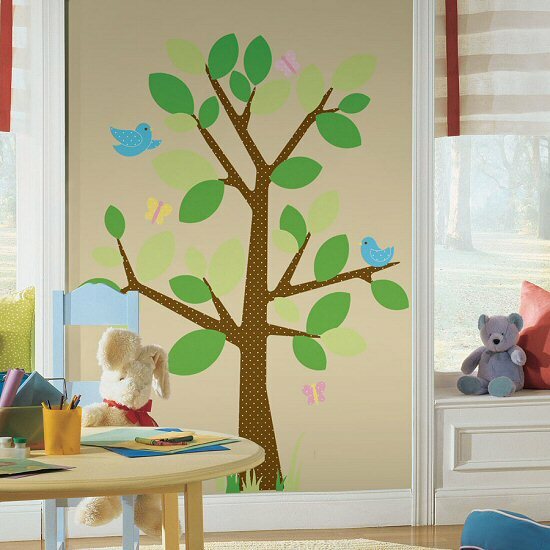 Our Dotted Tree peel and stick giant wall decals (also known as peel and stick murals) are repositionable, removable, re-usable, and washable... the perfect combination for decorating the bedrooms and playrooms of kids. This RoomMates Dotted Tree repositionable giant wall decals set offers decorating ease with no damage or residue to the surface.